You don’t have to go out on the town to have a fun date! Finding time alone as a couple is an important aspect of maintaining a strong and healthy relationship. Couples with children often struggle to have the time or energy to reconnect as often as they would like. 1. Keep it simple. Going on a date with your sweetheart is about connecting with each other. Activities do not need to be elaborate or require a lot of time or energy. Even 20 minutes of uninterrupted quality time can boost a relationship. 2. Make a plan. 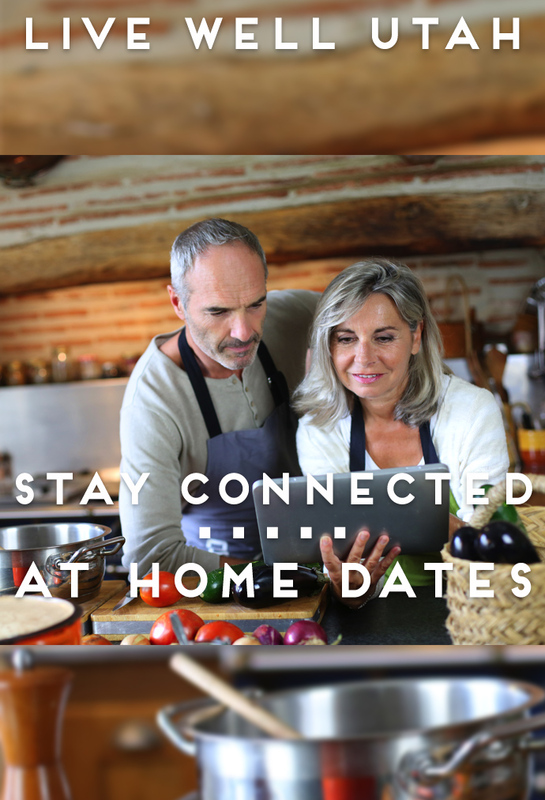 Because you are staying at home, it will be easier to just fall into the normal routine rather than to have a date night, so plan what you will be doing and when. This will also help you to know what you might need to do or buy to be ready for your date. Be sure to take turns choosing the activity (complaints on either side can spoil the fun). 3. Focus on each other. Once again, because you are at home, it is often easy to get distracted by housework, electronics, etc. Commit to focus only on your spouse and the activity you are doing together for the timeframe you have planned. Where possible, make an effort to connect through conversation throughout your date, especially about personal thoughts and feelings (not just about the kids). 1. Star gaze. Set up a blanket in the backyard and enjoy looking at the stars. For bonus points, get a star map and try to identify constellations. 2. Walk in your partner’s shoes for an evening. Swap your normal “duties” for the night to try to understand life from your partner’s perspective. After the kids go to bed, discuss your experience. 3. Look through old photo albums and reminisce together. If you feel really energetic, make it a time to put loose photos into albums or delete out-of-focus and duplicate digital files. 4. Have a fondue party. Dip your favorite veggies, fruits or snack foods in cheese or chocolate. Yum! 5. Curl up for an evening of reading. Find a book you both enjoy and take turns reading to each other. 6. Go dancing. Check out a dance instruction video or find one online and turn your living room into a ballroom. 7. Camp in your own backyard. Set up a tent, snuggle and tell ghost stories. If you have a fire pit, light a fire and roast marshmallows and make s‘mores. If not, improvise using a gas stove, barbeque or microwave. 8. Go gourmet. Sample a few types of cheese you haven’t tried before with crackers, bread or fruit and critique each one. 9. Cozy up on a blanket in front of a fireplace and have a picnic or treat. No fireplace? You can improvise with a bunch of candles grouped together. 10. Watch a classic romantic movie or funny videos on YouTube. Make a fluffy bed out of pillows and cushions on the floor for a fun change. 11. Play board games or card games. For a fun twist, decide on a service or treat that the winner will receive. 12. Get sweet. Have an ice cream sundae bar, experiment with creating your own smoothie recipes or have a chocolate tasting night. 13. Have an at-home spa night. Light some candles and give each other a massage, take a bubble bath or if you are feeling adventurous, treat each other to a pedicure or facial. 14. Create a dream board of pictures or a list of places you want to visit or fun things you would like to do together in the future. Make a plan to make one of them happen. 15. Get active. Try a new exercise video together or take a stroll around the outside of the house to get some fresh air.